It's been a while since I've been out to an all-DJ showcase, mainly because most of the local concerts we have are mostly bands with a single DJ and the rest have their booked nights at one of the clubs. --- It isn't too often that you see a show in a music venue where it's a complete DJ ensemble, spinning the night away without a band to play out the end of the night. Which is what makes Dubwise so special, as the monthly dance night takes over Urban Lounge to packed crowds, running seven years strong this year. Today, I chat with Dubwise founder DJ Illoom about his DJ career, starting Dubwise and the run they've had, thoughts on local music and a few other topics -- all with photos from last Friday's showcase, which you can check out here. Gavin: Hey, Illoom. First off, tell us a little about yourself. Illoom: If I was to sum it up I would call myself an over-motivated Renaissance man. I split my time between music, hands-on sustainable-food-production research, maxin' it with my wife and two kids, and with as much biking, snowboarding and general wilderness shenanigans as I can squeeze in on top of that. Of course, a full-time job really throws a wrench in it, but I still manage to squeeze in drinking and some Irie meditations. Illoom: I've always had a borderline obsession with music, and as a teenager, my parents were quite concerned with my "music addiction." Wherever, whenever, I had music playing. I had an algebra teacher in high school who brought batteries for my Walkman, as otherwise I disrupted class. I still pulled a B with my headphones on, so we're good. As a chronic existentialist, I spent most of my teenage years absorbed with both political punk rock -- The Dead Kennedy's and Black Flag topped the playlists -- and early industrial groups like Ministry, Skinny Puppy and the like. The latter tuned my ear toward more of an electronic sound, and toward the end of high school, I was introduced to "techno" via my good buddy Joseph Hanks, aka Djunya, whose brother lived in Vegas and was hitting raves at the time. I still remember the first DJ mix tape I was given, from a Vegas DJ named Speedy. The mix was perhaps some of the earliest ragga bass music on the planet -- we're talking pre-jungle, we're talking a straight reggae/techno blend. This would have been around 1993, and was my first introduction to digital reggae; that mix changed my life. 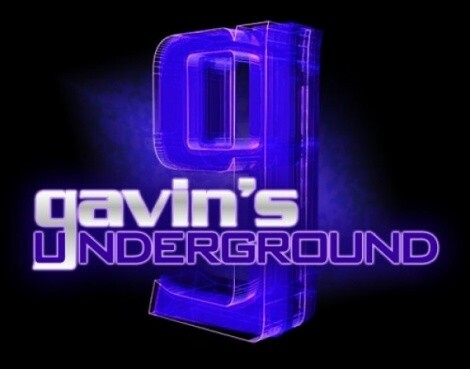 Gavin: What drew you toward the turntables and working to become a DJ? Illoom: I went to my first rave in 1994, and getting turned on to mix culture as a way of presenting sound redefined how I listened to music. I was going to Snow College in central Utah then; I started out as an on-air DJ for its radio station, KAGJ "The Kage." By my second year, I was running the place as station manager. Dig this: Second year in college, I get to pick five friends and we all get offices and keys to a building on campus and run a radio station. Go ahead and run that scenario in your imagination -- it was pretty much exactly like that, unless you are not very creative. I tried my hand at mixing a bit with multiple CD players 10 years before the DJ friendly Pioneer CDJ hit the market, but turntables were the way things were done at that point. Turntables had pitch control, cue control, they are the original tool for mixing, and will never be beat at this function. However, after that second year, I bought a VW bus and hit the road. 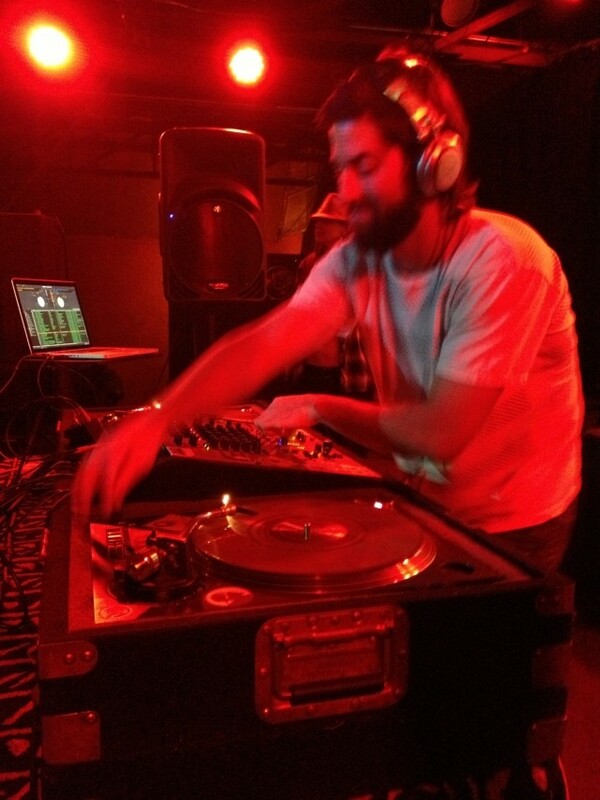 It would be a few years before I settled in Salt Lake City and gained access to a DJ rig. 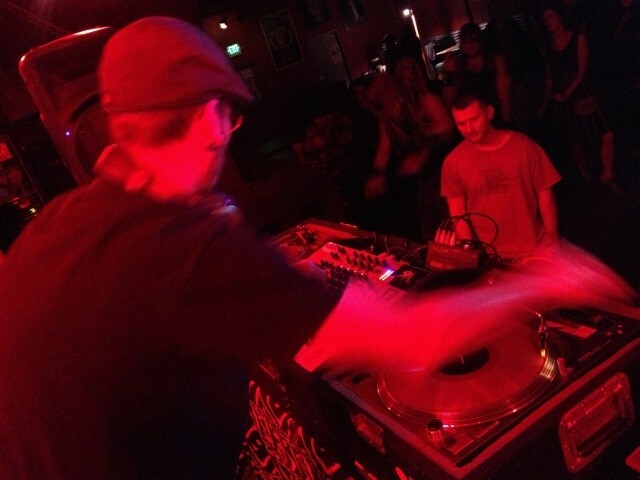 My boy Dave Gillette -- local Hive DJ deCay -- was my first friend with Technics and a mixer, and after settling in SLC in the fall of '98, we were kicking it and playing records almost every weekend. We would spend hours and hours mixing, learning the ins-and-outs of the craft. I bought my first pair of Technics in 1999, and they're the same pair I use to this day. Gavin: What was it like for you getting your first setup and playing around with what you could do? Illoom: It ended several relationships with multiple girls, let's put it that way. At first, it was quite alien and intimidating, the tone arm and needles just seemed so fragile and foreign, knobs and faders everywhere. However, the magic of being able to mix and blend my music collection into a seamless sonic arrangement was the reward, and after thousands of hours of practice and hundreds of shows I barely think about this button or that fader. It's a lot like chess, in that the rules are quite simple, but the strategy is infinite. Wow, we put in so many hours. Djunya, deCay and myself would mix for hours, for days in a row. We used to have a Playstation when Tony Hawk Pro Skater came out, and we would rotate every 20 or 30 minutes, between one guy on the decks, two guys on the console. I used to record my sessions, and then listen to them all day at work the next day. This is how I drilled my mastery of mixing composition, the cornerstone of what I do. Gavin: When did you first start playing around at clubs, and what were the reactions you were getting? Illoom: I spent years as a bedroom DJ. Dance-music culture is incredibly hard to break into, or at least it was for me. I was big into drum & bass and jungle in most of my early years DJ'ing, and once in a great while, I'd play a house party or after-hours. I had gotten into studying traditional tribal percussion and culture when I was about 17, and by the time I was 21 or so and moved to Salt Lake, I connected with others who were as serious a group of drummers as they come. I joined an ensemble called Koteba, and over the course of three or four years, we built a large following and were crushing it, filling up clubs and getting some really great bookings. We even spent five weeks in Switzerland, doing 3-4 shows a week at this club that was big with the nomadic European backpacking scene. At all these shows, between and after our sets, I would DJ. This is where I started building the following for Illoom. The reactions were fantastic, and I think it really added to the performance to see one of the drummers break from the performance, hit the turntables, get back on the drums, and back to the decks. We ended up making some legendary memories for a lot of the drum-and-dance community, and it gave me a great chance to really cut my chops on reading the crowd, building up the dance and my general DJ skill set. Gavin: Do you prefer doing all-vinyl, or do you like mixing in laptop samples and beats? Illoom: I still use turntables exclusively, and keep things almost 100% traditional. I do use a laptop and connect with Serato, but only to be able to play my own tunes and those of my friends without having to wait/pay for dubplates, and to avoid hauling five or six crates of records. All Serato does for me is allow me to play digital-music formats as though they were on the record, and I don't use any of the other functions, loops, effects, etc. 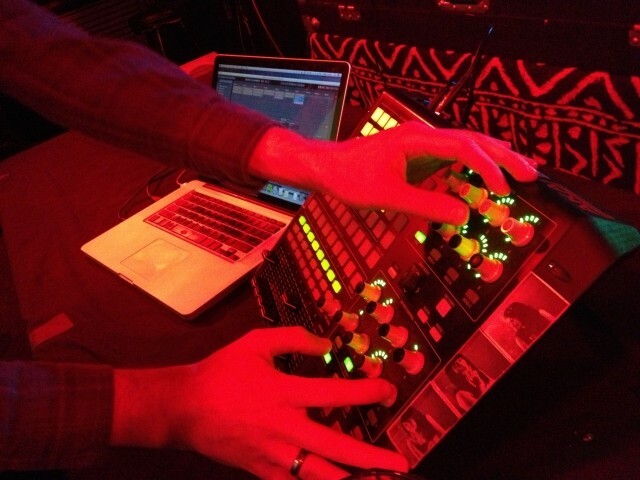 I am incredibly traditional in that I do all of my production work in the studio, and strictly mix when DJ'ing. Plus, with my mixing style, I don't have time for gimmicks. I'll play roughly two times the amount of tunes people are used to hearing in an hour. I've always felt that a well-produced tune really needs no embellishment onstage; it's all there, and it is an incredible amount of work engineering to make a tune sound proper amazing -- production in the studio, DJ'ing on the stage. I have yet to see/hear a "live" EDM act that SOUNDS amazing. Gavin: How did the idea come about for the Dubwise showcase? 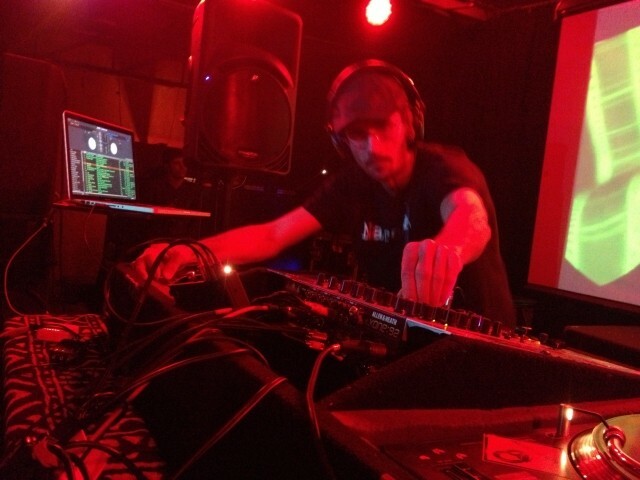 Illoom: We originally had a monthly, playing liquid drum and bass, at a little club called Ouida's, which later became the Downtown Hookah Lounge. When dubstep first came into being, believe it or not-- thanks to the Internet -- we were among the first in the world outside of London to embrace the new style, and switched up the format. That was almost seven years ago, and we are proud to be the second-longest-running dubstep night in North America -- SMOG in LA is the only night running longer. It started out as myself and Djunya, but he moved to San Francisco. Our friend Patrick, aka Subpolar, jumped on as my other resident, and for a good year we were the only people in town playing the sound. There was so little music in the genre at that point that we had to compare notes before each show to see who got to play which tune that month. After about a year, the following grew to the point that we were able to start bringing headliners. Some of these artists went on to become huge in the genre; for example, we gave Antiserum one of his first bookings outside of his hometown. I look back now and just grin -- just the two of us in the entire city playing Dubstep, and now these days I have a spreadsheet to help me rotate through all of the talented local bass music DJs for my Dubwise bookings. Gavin: What were the first few like, and what made you decide to continue on as a monthly showcase? Illoom: It was way too much fun, from day one. Even though the nights were small, we packed the room at 50 or 60 people and the energy was through the roof. I refer to our regulars as our Dubwise family, and all of my headlining artists, without exception, are absolutely blown away by the level of enthrallment the dance floor has with the music. 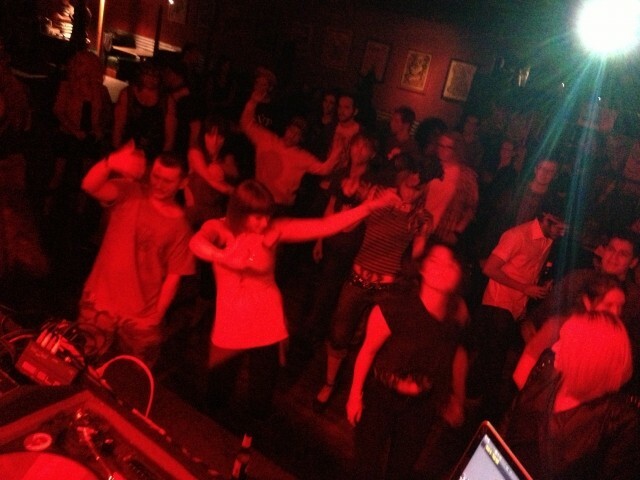 Our crowd is right up there, not afraid to give positive feedback as they dance their asses off. I don't know how I could stop. Gavin: Who are some of the more frequent local DJs who appear? Do you tend to plan out how the night will go as a team or just let everyone do their own thing? 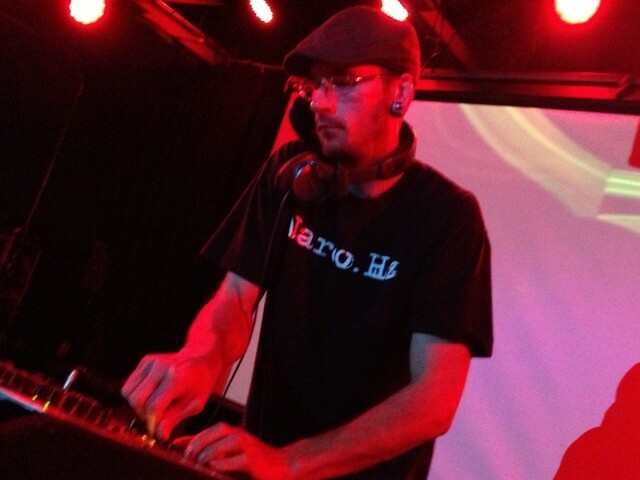 Illoom: I pull a lot from the Latter Day Dub crew, who were some of the first folks around to be playing dubstep besides myself; Quintana, Artifax and 2be. 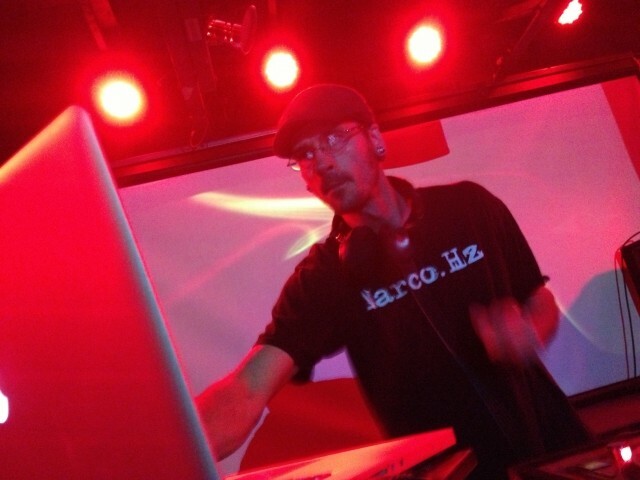 Xzentradi was also one of the first to be playing the dub. I rotate through all of my Hive crew, as well -- deCay, synAesthetic, Morzfeen, Heartwreck. I've been really stoked on the Dirt First crew, as well, and have been bringing in Grimblee and Mr. Vandal on the regular, and, damn, there are some solid local DJs who bring it proper: Drink, Steezo, Pookie, Lowpass, Julliette, Destrukt, Raw Fidelity, Hypernovae; there are too many to list. I try to book local talent to complement the headliner, and generally tailor my sets every month to that end. The only other planning is to encourage everyone to play appropriately for their time slot; nothing is more annoying than hearing somebody rinse it out at 10 p.m. I am adamant about saving our headliner some headroom. Gavin: When did you start incorporating visiting DJs and touring acts, and how has that added to the evening? Illoom: Once I saw we had a steady turnout and could budget for one, I was all over it. About a year into the night, we brought out Matty G as our first headliner; that would have been late 2007. Having a headliner took the night to the next level, as it adds a sense of legitimacy, you might say. Even though our locals bring it as tight and hyphe as anyone, a headliner has draw, period. Folks are more motivated to come out to see some. Gavin: You said yourself the event has been going for seven years. What's your take on going this long, and what are your thoughts on keeping it going? Illoom: I feel fully blessed to have the night go for this long, and I am overwhelmed when I think of all the amazing people who come out month after month to support. The mission statement is this: The world is a rough place filled with turmoil and trouble, and living in our culture can be stressful and overwhelming. If we can provide a reprieve from this, and not just a fleeting buzzed moment at the club but a bit of joy that carries over into the next day or week, then we are doing the good work. That is what we are trying to do every time we fire up the speakers, and it must be working. Gavin: Moving on to statewide stuff, what are your thoughts on the local music scene, both good and bad? And is there anything you believe could be done to make it more prominent? Illoom: Right now is a pivotal point in our city. I feel like we have reached critical mass and things are about to explode. There is a ton of fresh young faces with access to software and gear that wasn't even conceived of when I was that age, combined with a solid working relationship with the old guard like myself that I think is going to result in a new sound movement that will put Salt Lake City on the map, perhaps in the same manner as Seattle in the mid '90s. The only negative is that I think people have stigmatized themselves unnecessarily in being from here. It's time to quit moving to the Coast to "make things happen." The time is here, and this is the place. Once we embrace that, our self-imposed limits will dissolve. 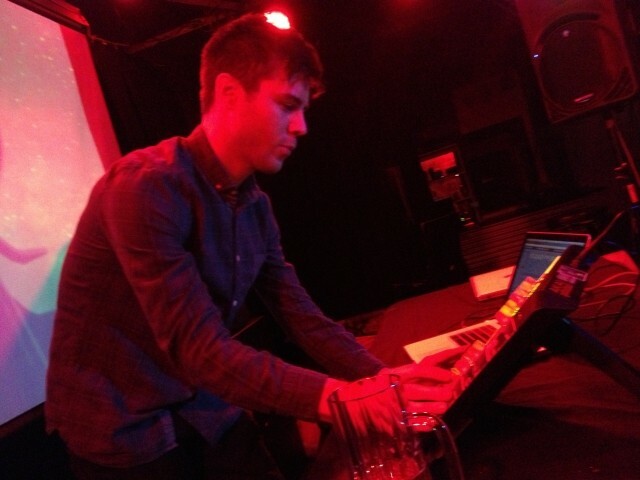 Illoom: Afro Omega tops my list, I've been working with Bronte and Elisa on multiple tunes. For locals in the EDM scene, I am the most stoked on these young producers who are working hard and just crushing it right now -- Grimblee, Mr Vandal, Strode; these cats are dedicated and working hard, and they are going places. I love the deep vibes the Latter Day Dub crew is putting forth, they have really worked hard to push a sound that nearly got left behind as brostep got mistaken for dubstep. And, of course, nobody in town brings it like the Hive. While over the last decade the rave has morphed into a more of a concert, The Hive has kept it properly rooted with the right vibe, hours of operation, and environment that really delivers the magic that I fell in love with in the first place. Gavin: What's your opinion on the current airplay on community radio and how it affects local musicians and DJs? Illoom: I am the wrong person to ask. With the exception of Smile Jamaica on KRCL, the only other radio I listen to is NPR. That reminds me -- I've been meaning to send Robert my tunes now for years. I am horrible at self-promotion. Gavin: What do you think of file sharing these days, both as a DJ and a music lover? Illoom: It is both a blessing and a curse. When I finish a tune, I can get it out to other DJs I support and get fresh cuts from artists supporting me, literally minutes before a performance. In this arena, fresh music is what it is all about. It has to be an absolutely legendary tune to have a shelf life of more than six months; things move that fast, and the ability to share music easily enhances that. On the downside, there is very little money to be made on releases these days; it's almost better to just give it away for maximum reach and then make money on bookings. Illoom: I have a slew of releases about to drop, with an agenda. I've been keen to keep the reggae roots in the dubstep I promote, so I'm releasing music in the traditional Jamaican riddim/version format. In the reggae/dancehall world, songs are released with a vocal version on one side, the instrumental on the other, so a DJ could snag up a bunch of different vocal versions over the same riddim and mash them up. 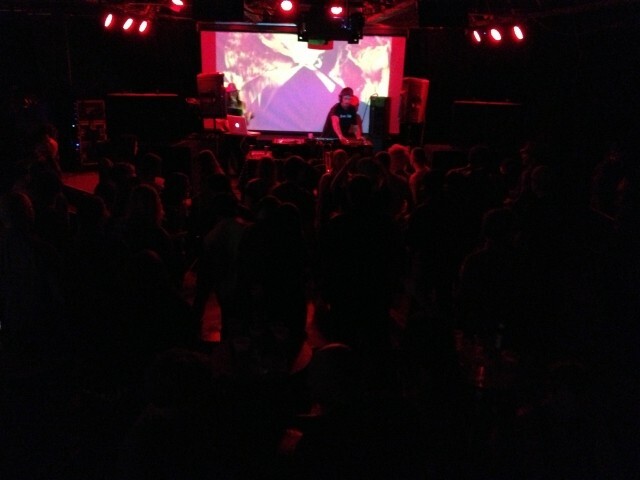 I love playing this way, and am aiming to keep the tradition strong and carry it over into the dubstep realm. I have an EP out May 27 on S.F. 's Avocaudio label, my Ganja Bee Riddim, with vocals from our local fav's Afro Omega, the UK's Cheshire, and Jamaican legend Bunny Lie Lie. I have two releases late spring on the Strictly Dub label, my Lollygag riddim, a 90-bpm crunk-reggae monster with vocals from Afro Omega, and Clinton Sly out of Montreal, with a bonkers trap remix from Djunya. The second is a collaboration tune with Djunya, The Shrom Dub riddim, and that will feature at least five vocal versions. I've also been working on a whole new sound that I am damned near jittery with excitement over -- I haven't been this moved since I first found dubstep! It's taken me two years to find enough tunes to fit the bill to start playing it. Think deep, minimal dubstep vibes, but at drumstep tempo --170. There are few things more exciting than watching a new movement in art coalesce. Keep your ears to the bassbin -- I have big plans for our city to be a key player as this sound breaks out into the world. Illoom: I'd like to throw in a massive thank you to my team, as they are what makes every show run smooth: Wendy Christensen, Michelle Loomis, Dave and Becky Gillette, Holly Davis and all of my other crew who show up to help me load in/out. And, of course, let's promote DUBWISE! 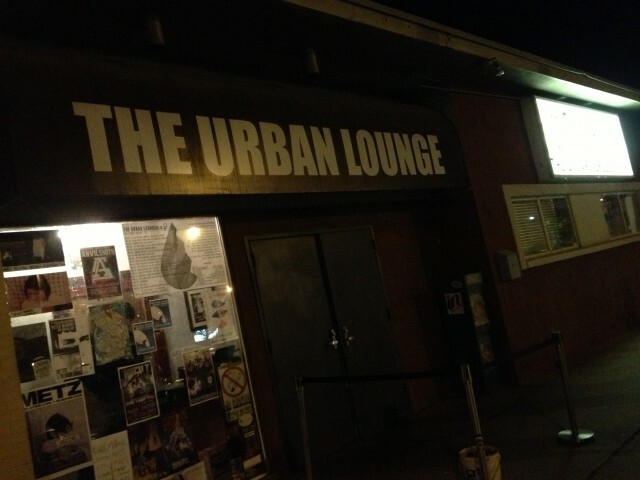 We are at the Urban Lounge, first Friday of the month. Find us on Facebook, and message me to get on our text-alert list. I'll also be playing Sketch Cabaret on May 17; if you don't know about this then look into it. This has to be one of the coolest happenings in the art community in SLC right now: figure drawing to over-the-top costumed models, backed by a DJ, with a vibe that is purely top-shelf. I'll be running a dubwise room at the Complex for the Benny Bennassi show, May 18. If you've read this whole interview, message me on my Illoom Facebook page and I'll put the first 10 people to do so on the list -- how's that?! Thanks for your adequate attention span. Then there is my favorite local festival of the year, Building Man, thrown by the Jenkstars. It's an art, music, and sustainability festival outside of Green River, from May 23-26. I'll be playing, but also leading a couple of workshops on sustainable-food production and urban farming, my other passion.